High school, a great time in any teenagers life where they meet their best friends, study hard, and of course, go to prom. 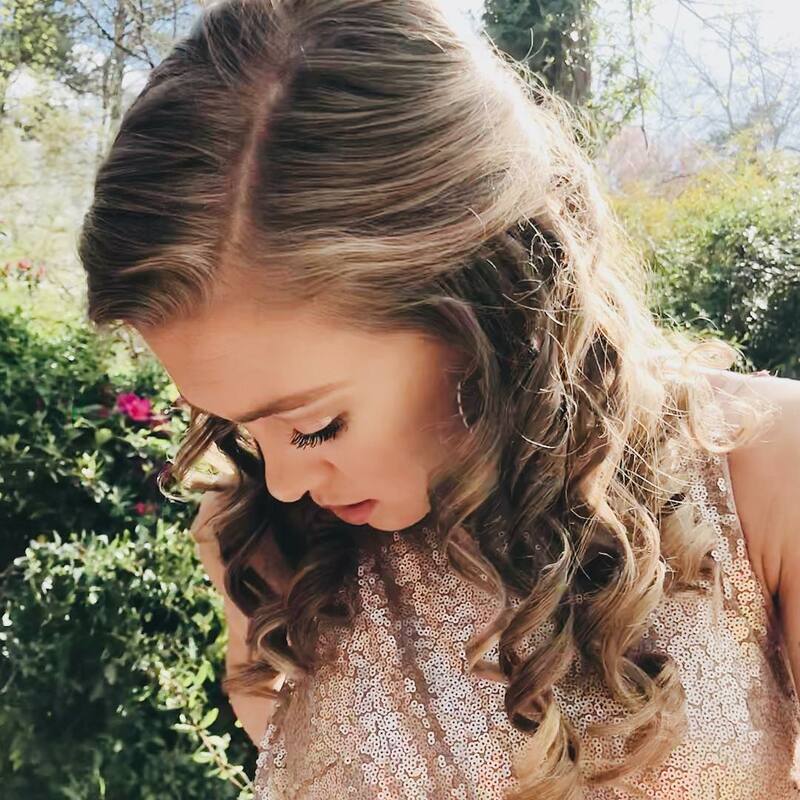 With prom just around the corner, we felt like we could give you a hand to ease the pressure that comes along with finding the perfect dress and having your makeup look flawless on this big day. 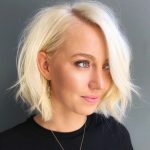 We searched far and wide for some of our favorite short hairstyles for prom and now we will share them with you. 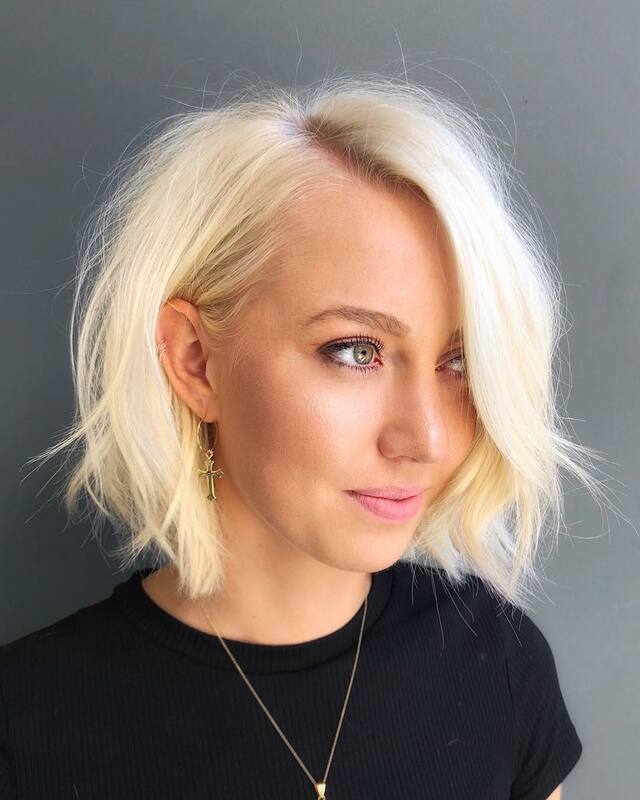 Here are 40 gorgeous short hairstyles that are perfect for prom. A side braid is great for getting your hair out of your face but still looking stylish. 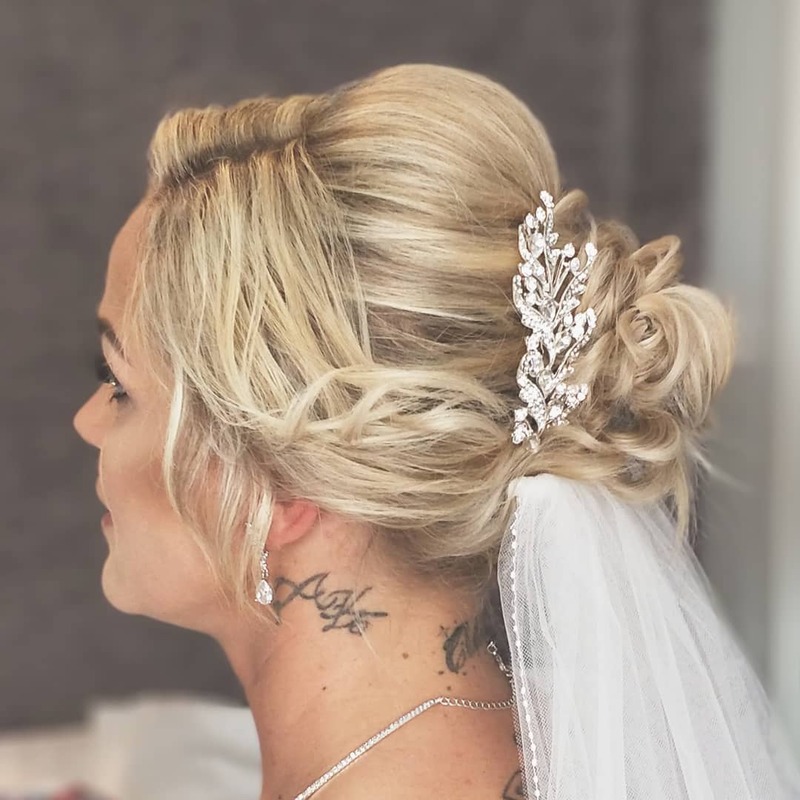 Add a barrette for a little glam and your hair is ready to go. 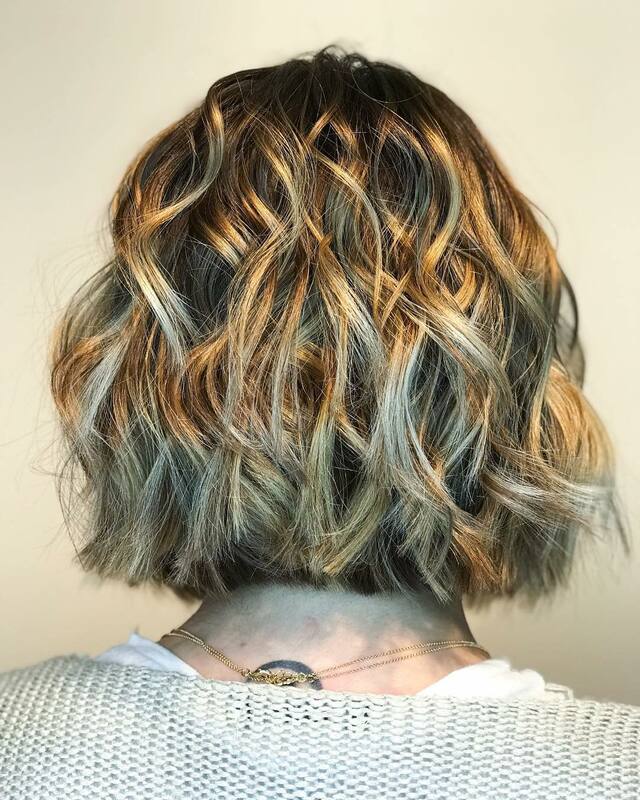 Don’t make a big scene with your hair and instead create beautiful waves all over. 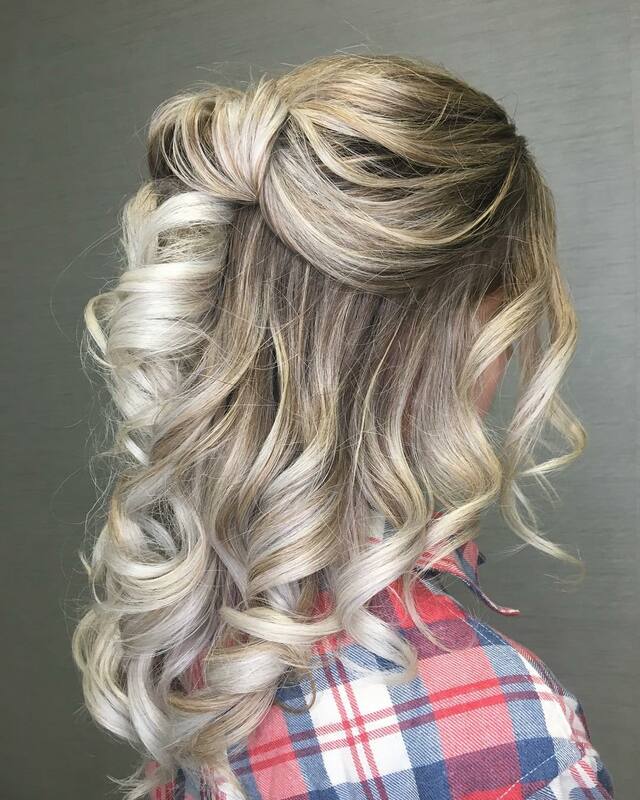 This hairstyle is simple but perfect for prom. 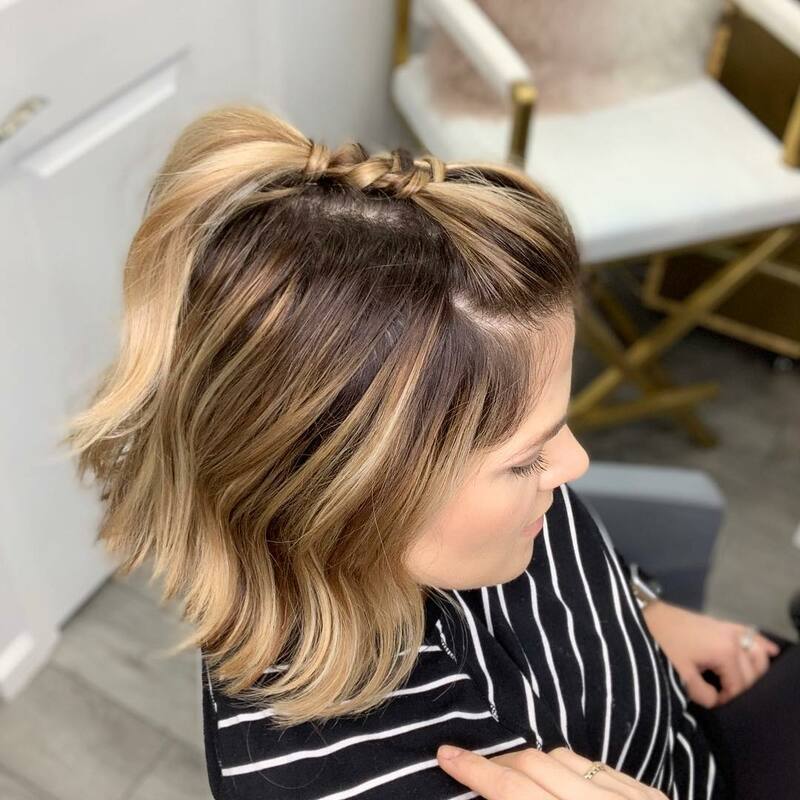 Get your hair out of your face by pulling it back and adding a few braids for details. 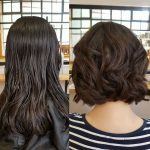 Curl your hair all over for some added volume and you’re done! 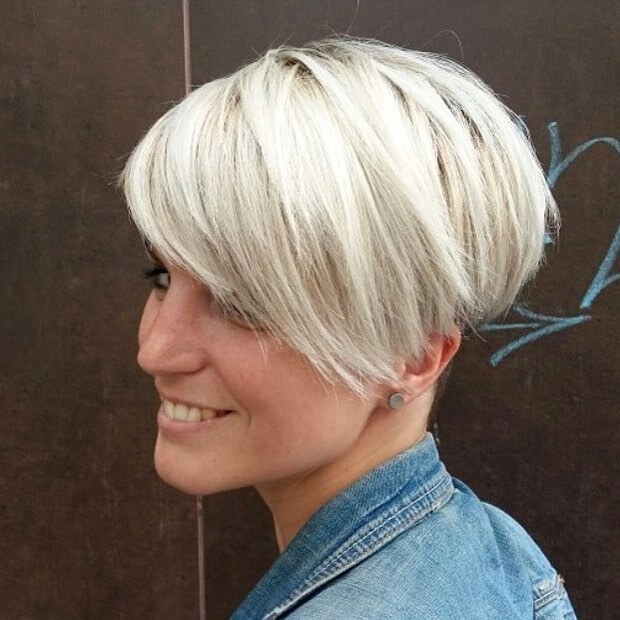 With a longer pixie, you can totally curl it and give yourself a retro look with a lot of volumes. 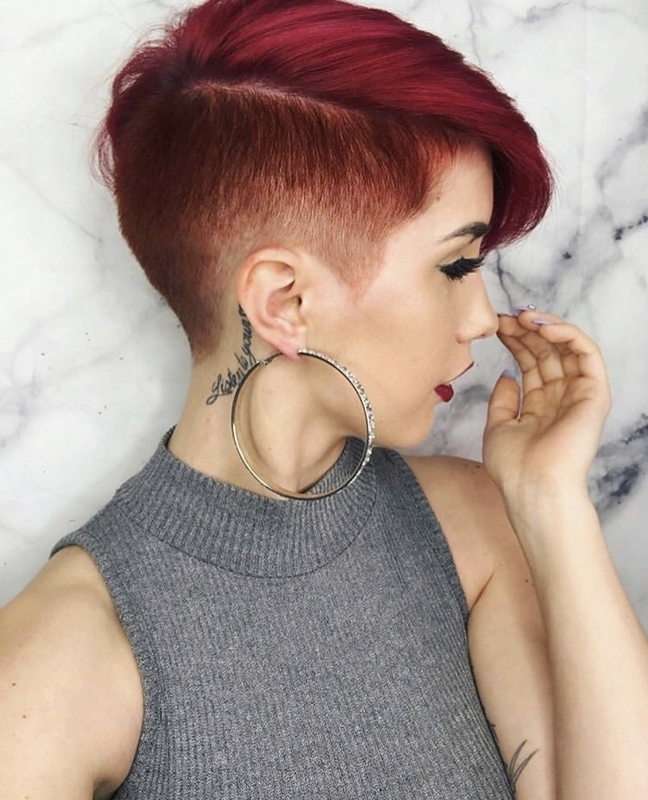 Give yourself a gorgeous twisted and tuck style with loose pieces of hair falling all over. 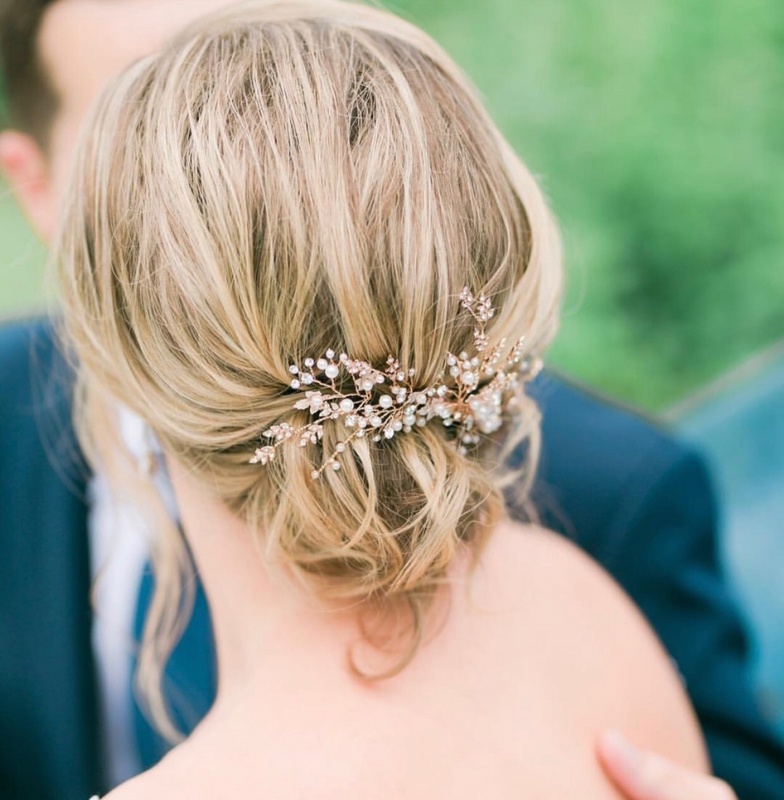 Finish off by adding a small flower detail for a simple touch. 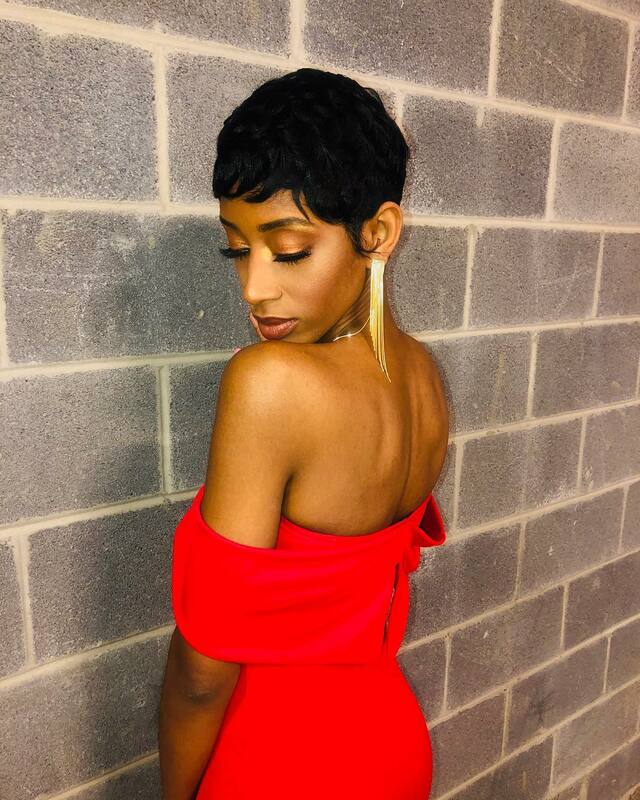 Embrace the jewelers and add a few to your hair. 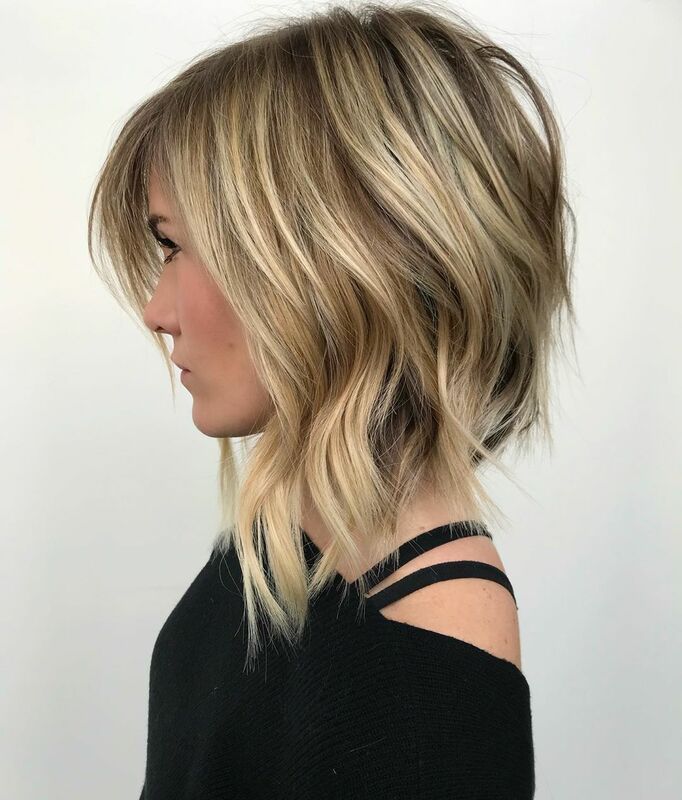 Keep your hairstyle simple with a few loose waves, a side part, and a lot of volumes. Twist your hair into a low bun to keep it out of your face and off your neck while you dance. 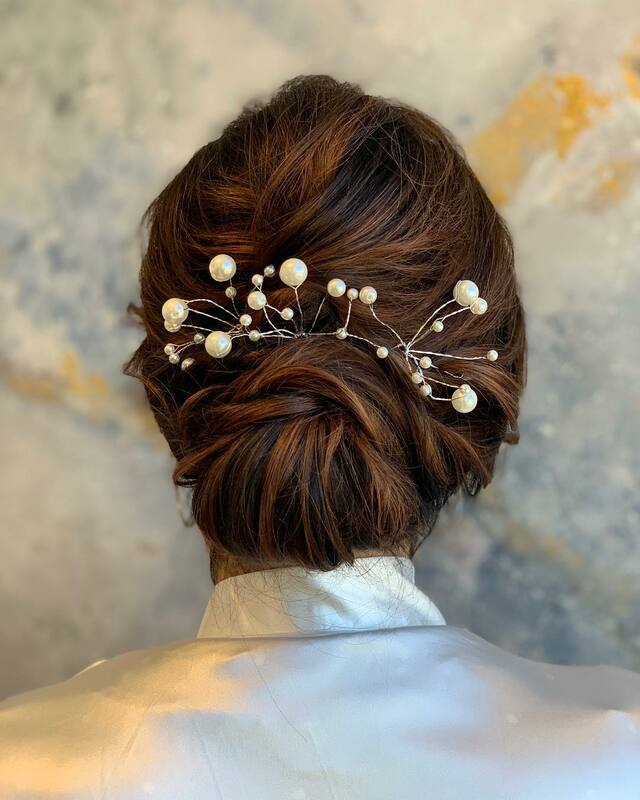 Add a little babies breath for a delicate touch. Show your romantic side with this easy heart twice and simple wave combo. 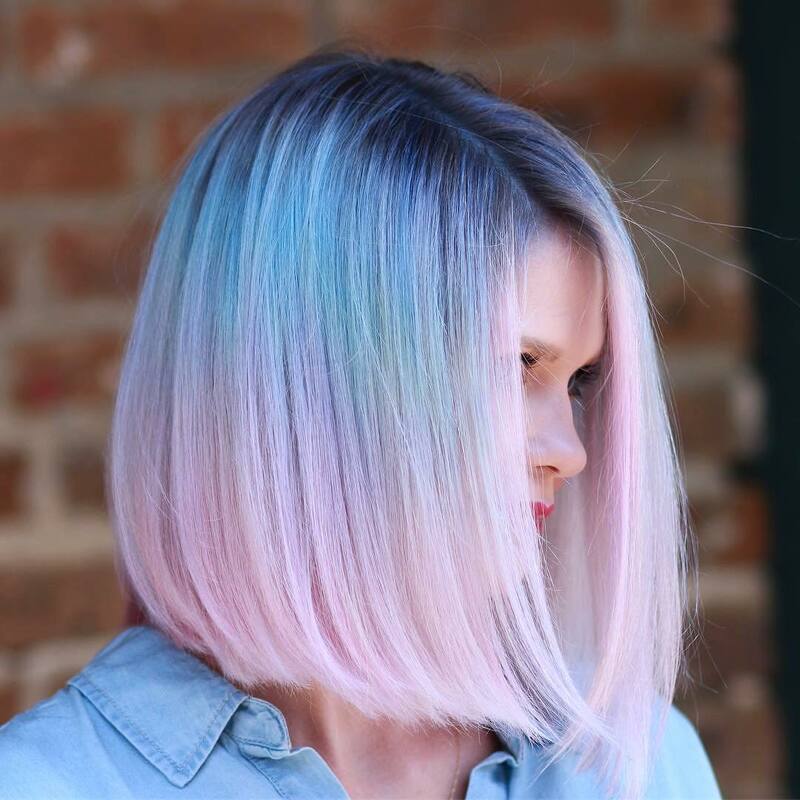 You don’t have to go super dramatic with your hair. 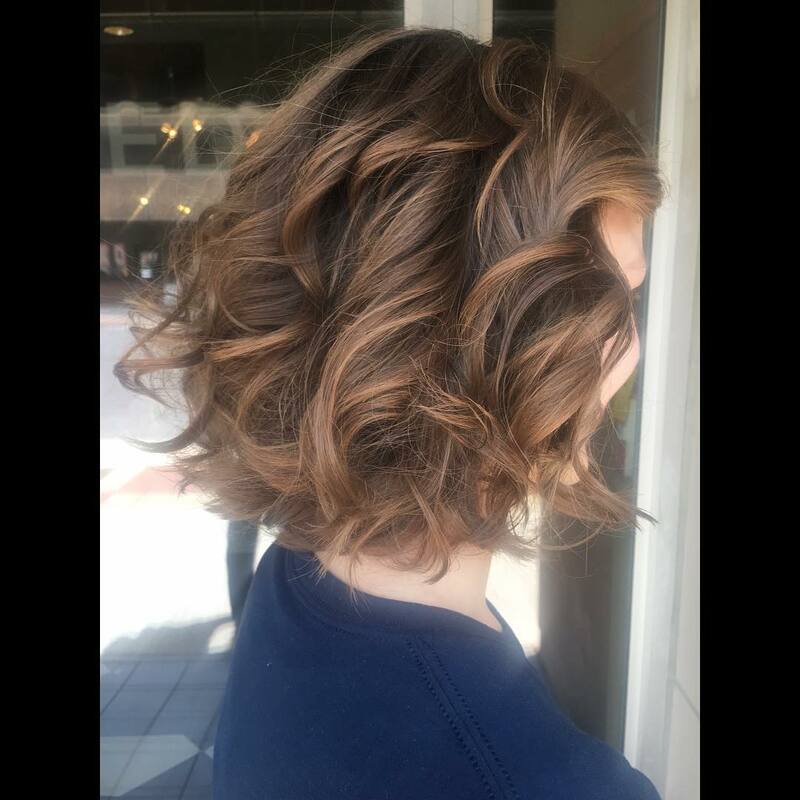 Add a little volume and waves and twist some hair out of your face, finish off by adding a shiny detail. 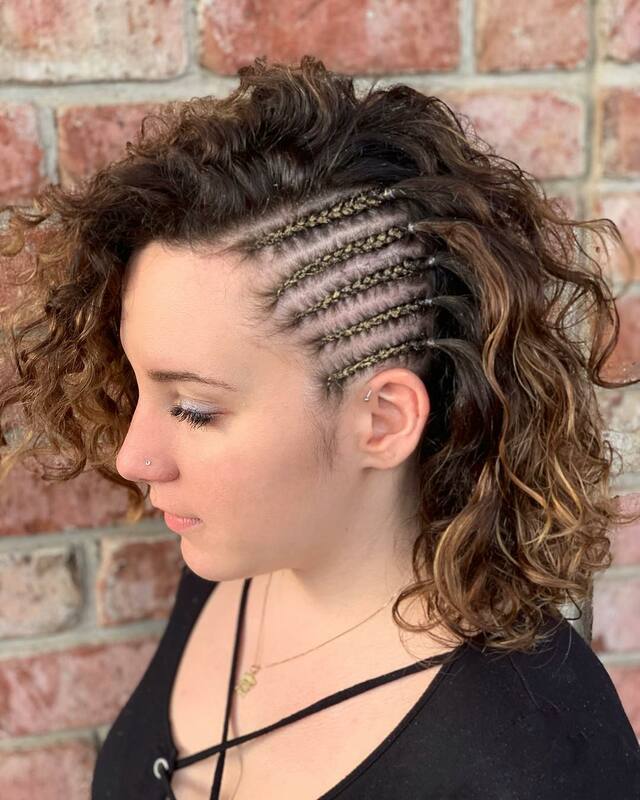 Be unique and add some corn rows to your hair before adding a product that will define all your curls. 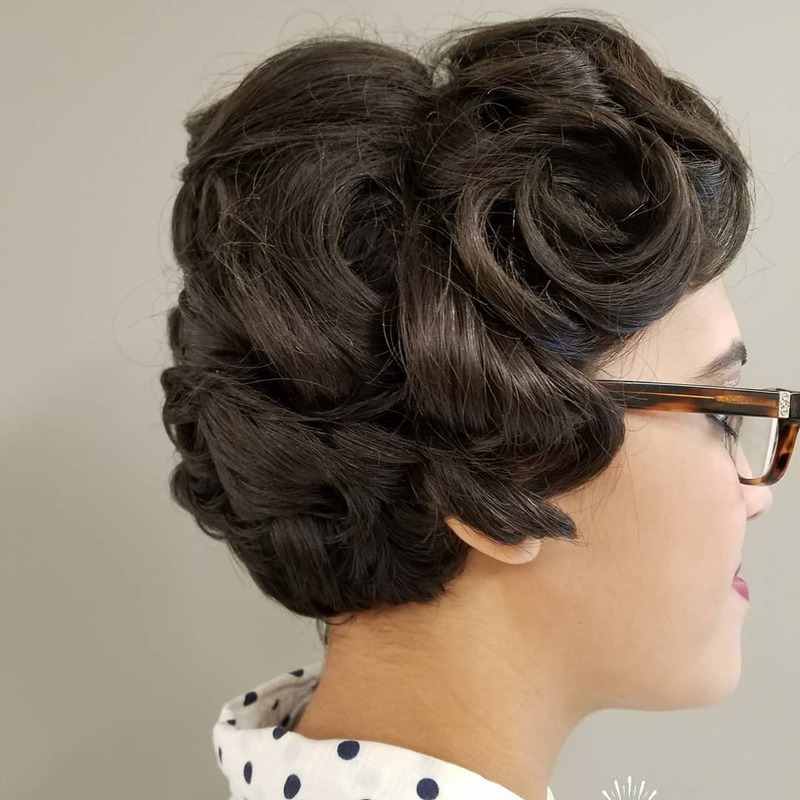 Add a few twists to your hair and a classic wave for this elegant prom hairstyle. 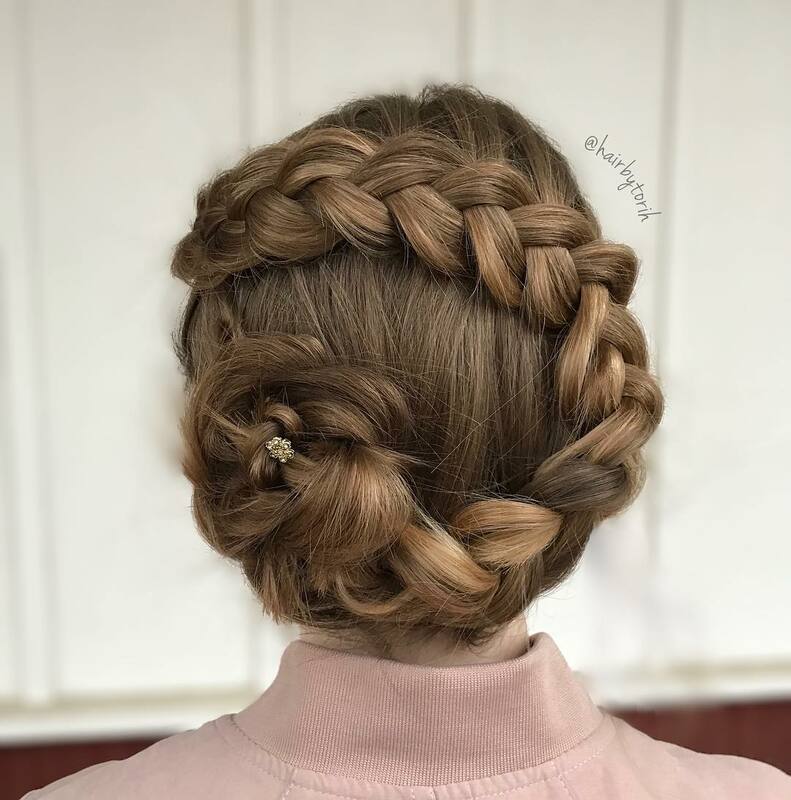 Side part your hair and add a Dutch braid. Curl the rest of your hair into huge ringlets so even when they fall out they still look good. 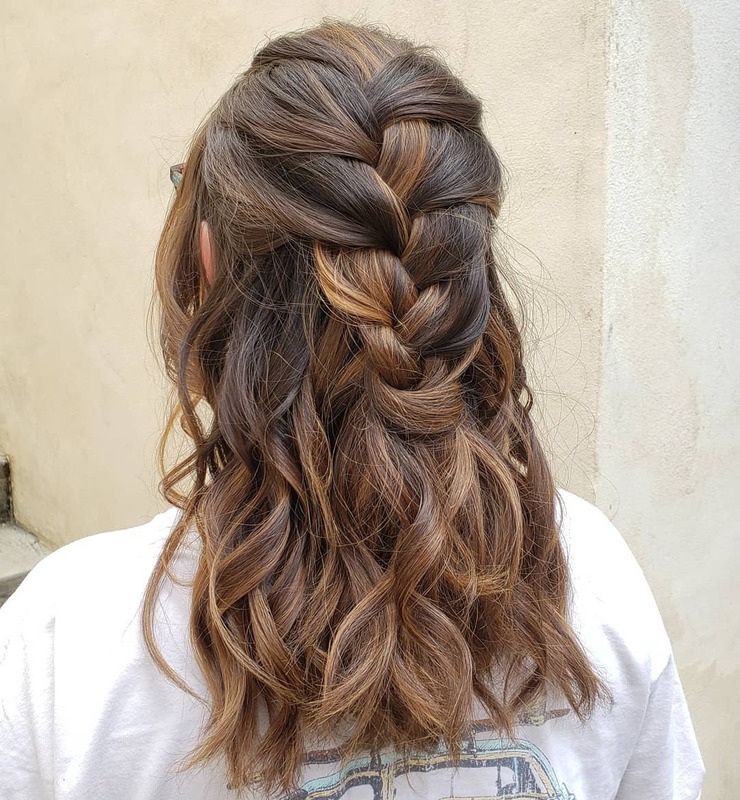 The half up hairstyle has been popular this year, which means it is perfect for prom. 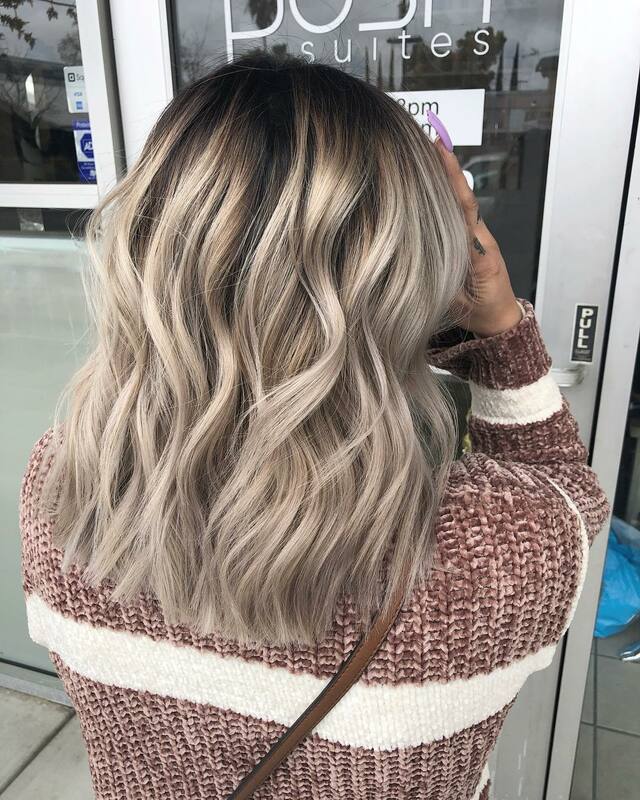 Add a ton of curls and you will be set to go. 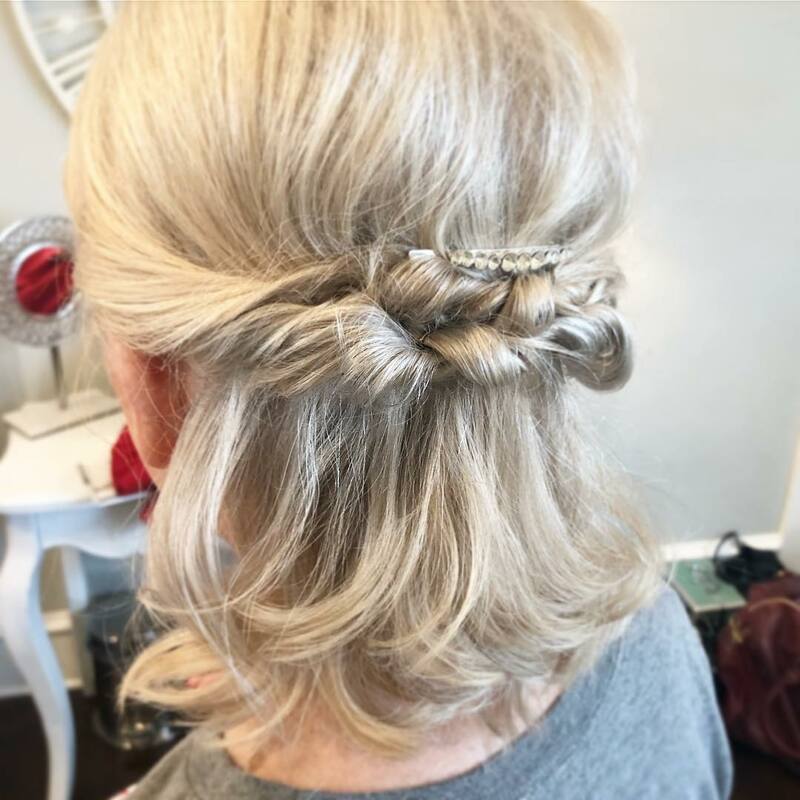 This textured braid is perfect for prom and looks stunning. 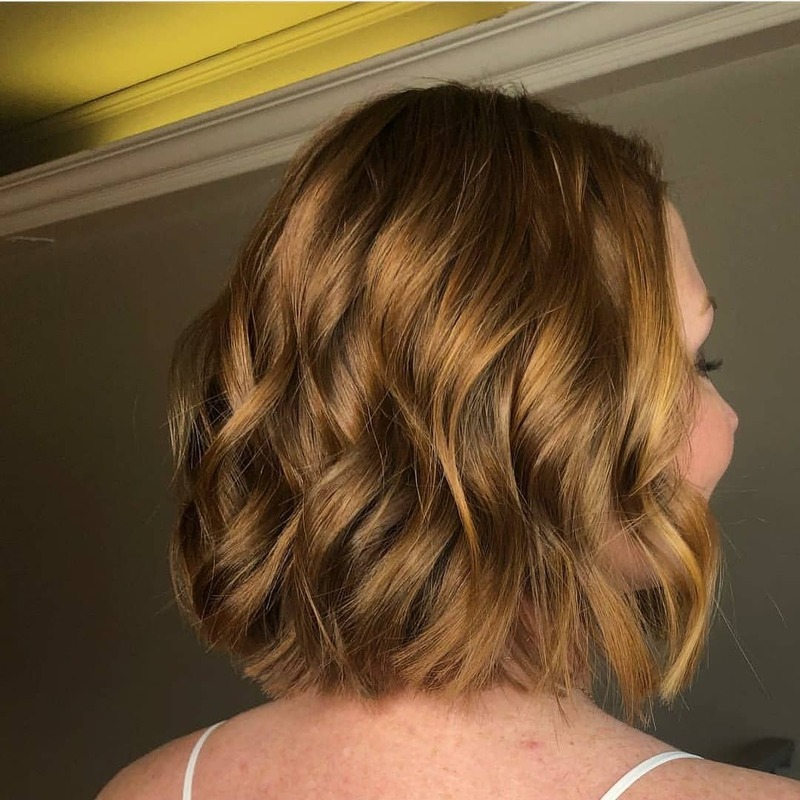 You don’t have to leave your bob straight for prom, instead add a bunch of curls and sweep it back. 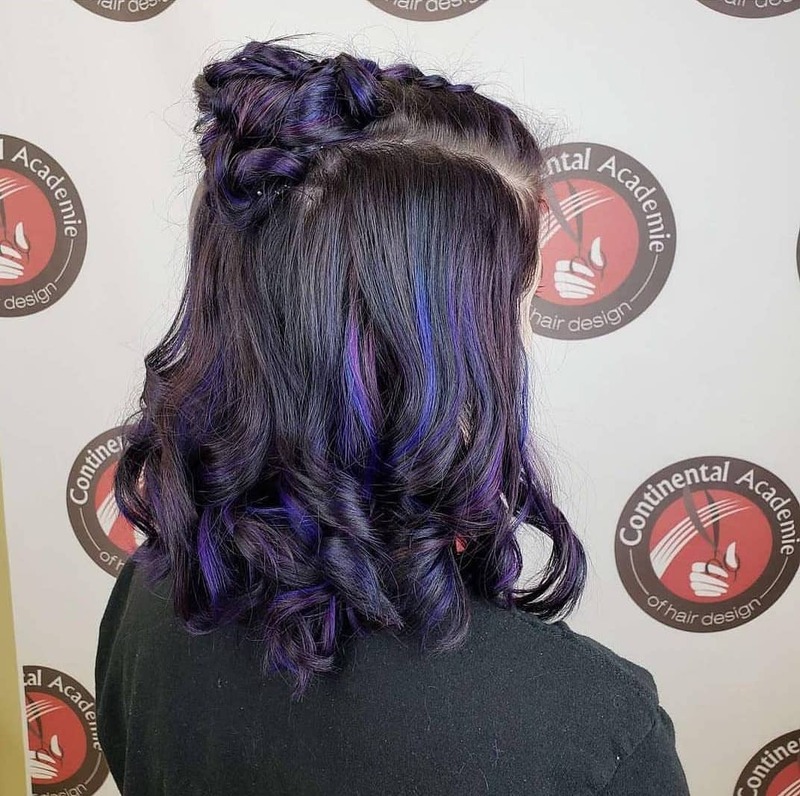 Add fun color to your hair and style it in an easy updo. 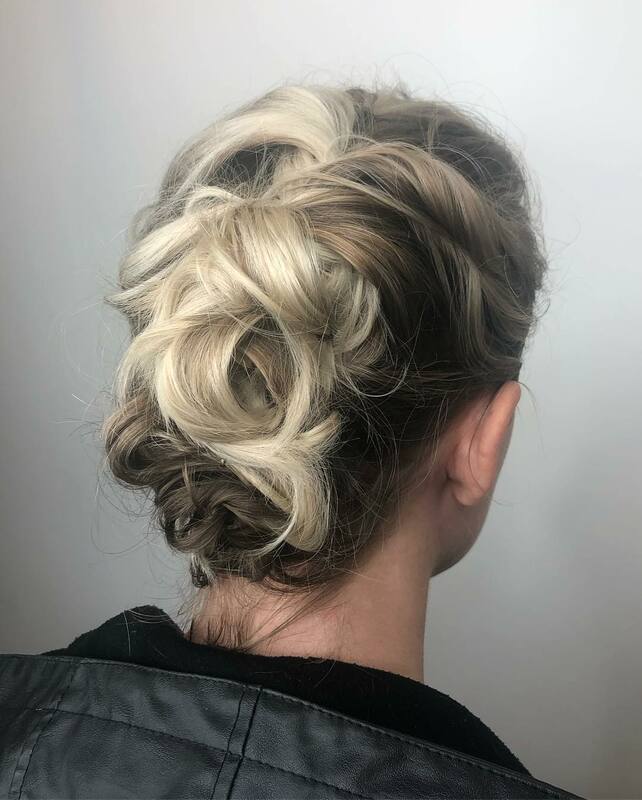 Style your hair is a beautiful simple bun and add a small spring detail. 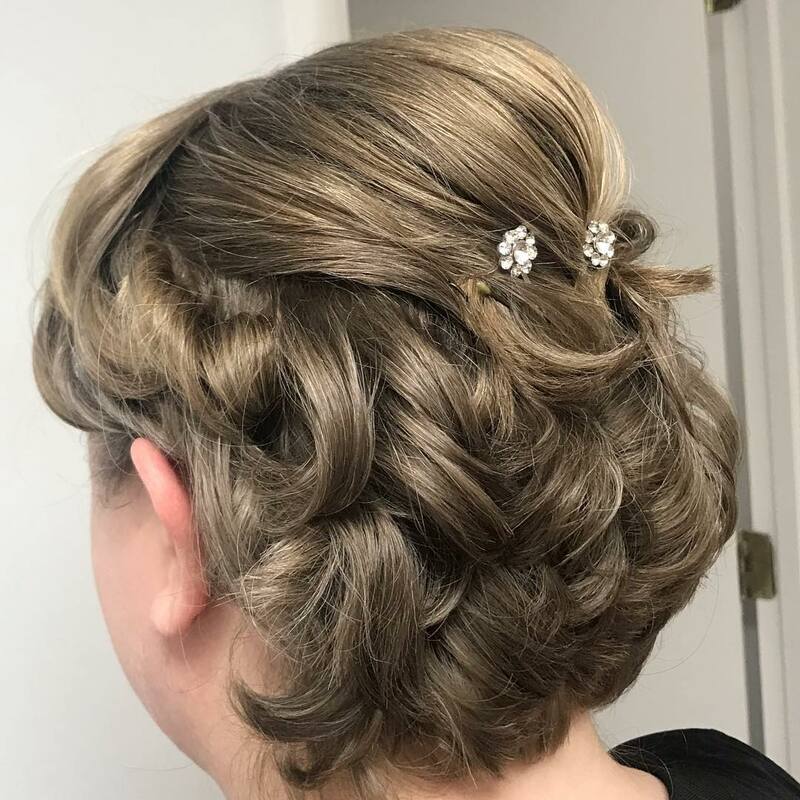 Comb your pixie forward and secure it with a product for a soft glam prom look. 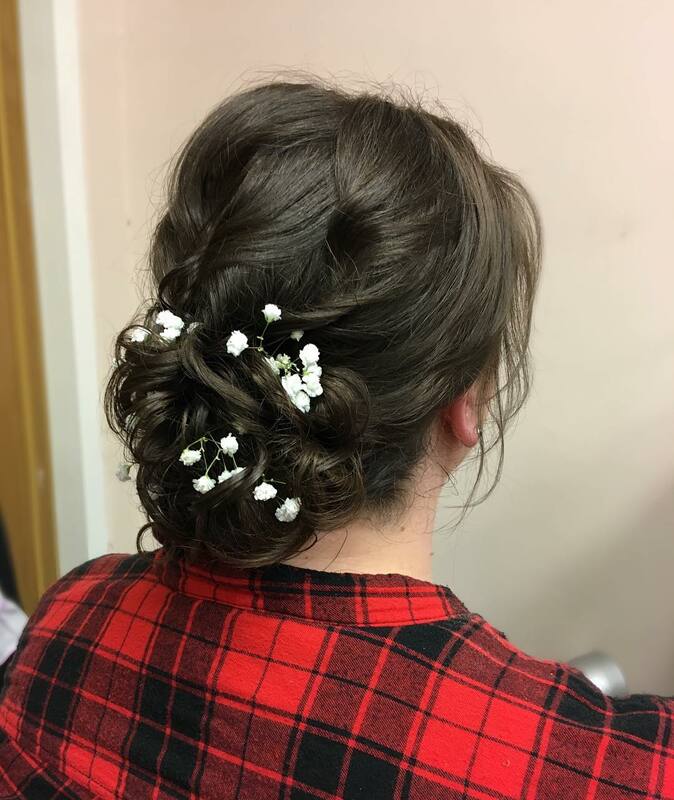 Leave your hair loose and free for prom this year. 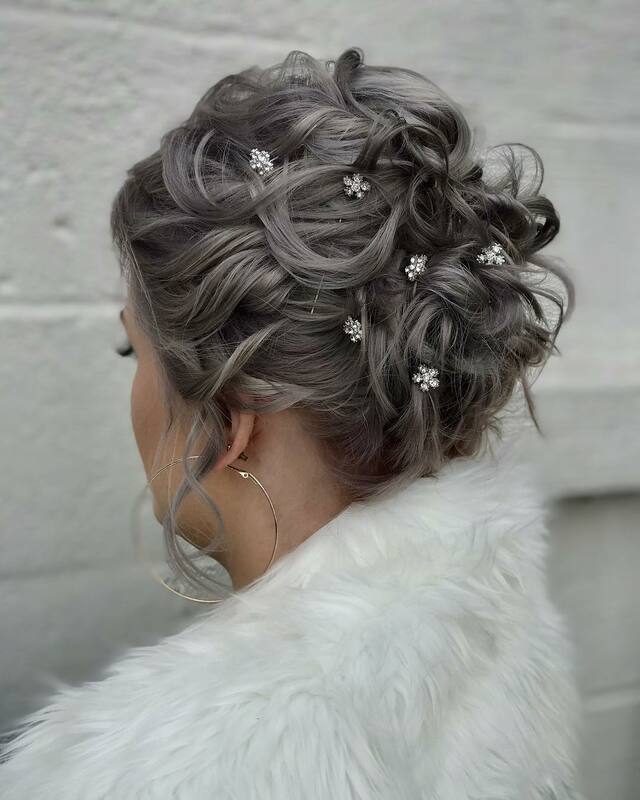 Make sure your color is fresh and perfect for prom like this gray balayage. 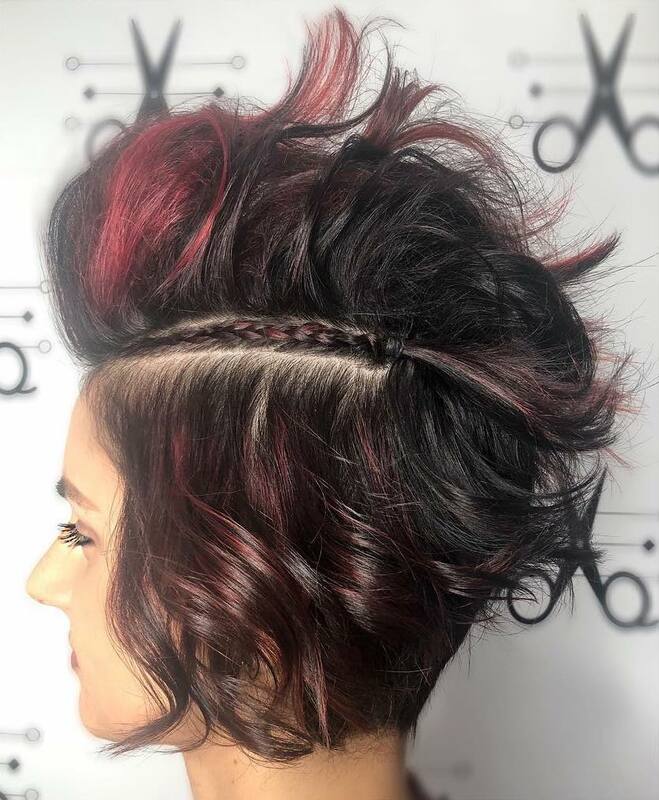 Style your mohawk and keep the rest shaved closely for a cool prom look. 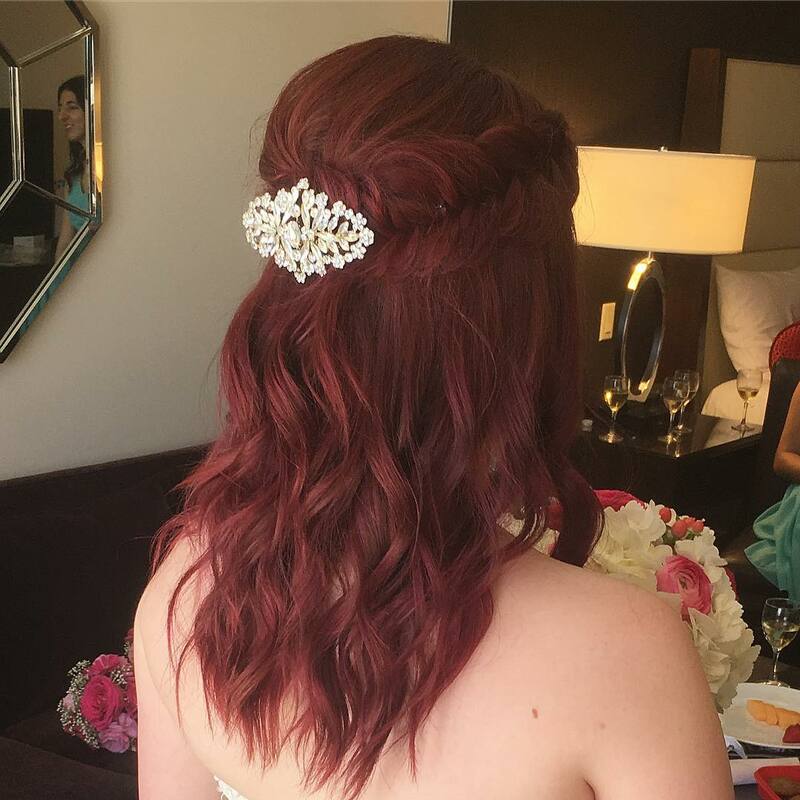 If you have a long angled cut, give it a little wave and volume for a great prom hairstyle. 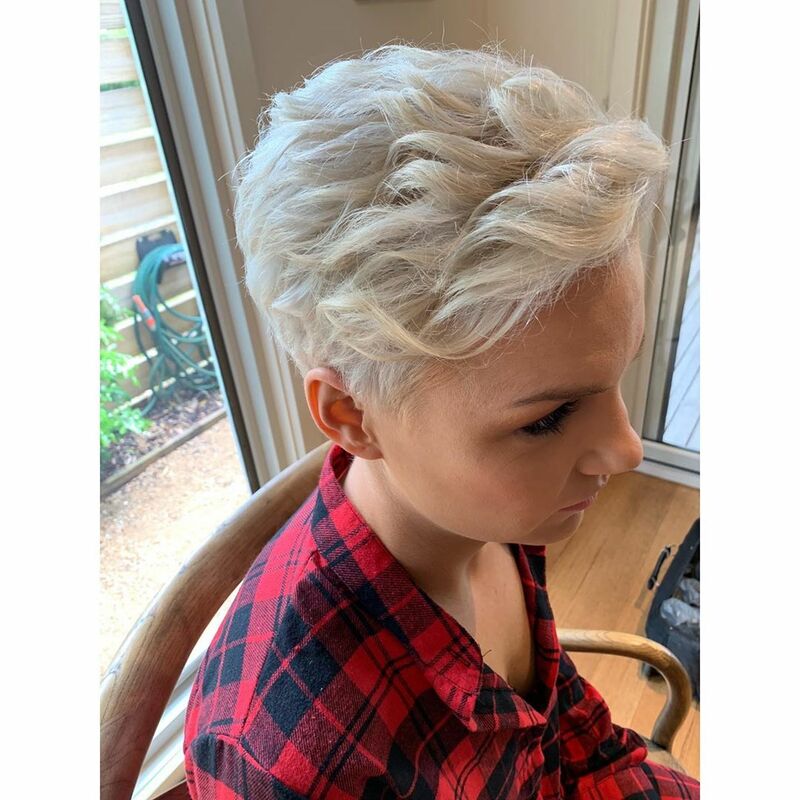 Style your hair to one side and slightly flip up the edges for a cool prom style. 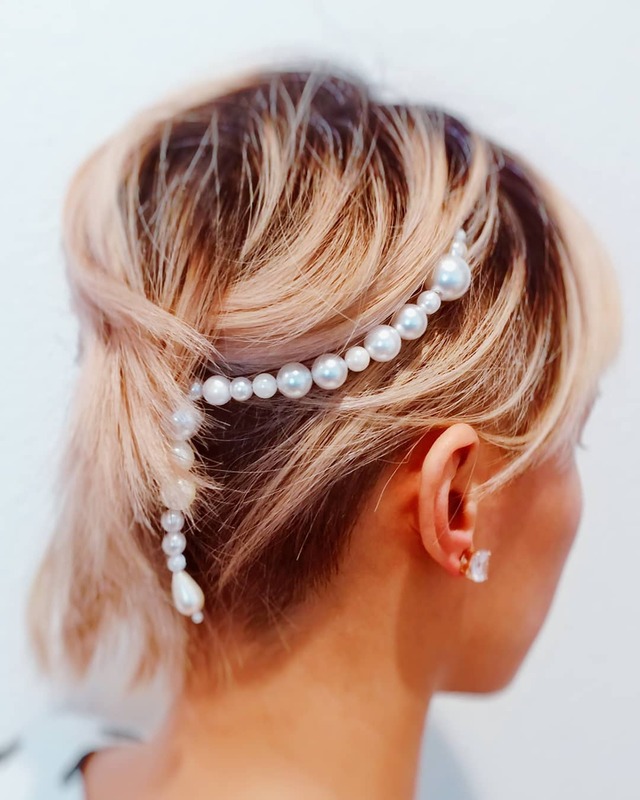 Wrap your hair up and add some pearls for a different accessory look. 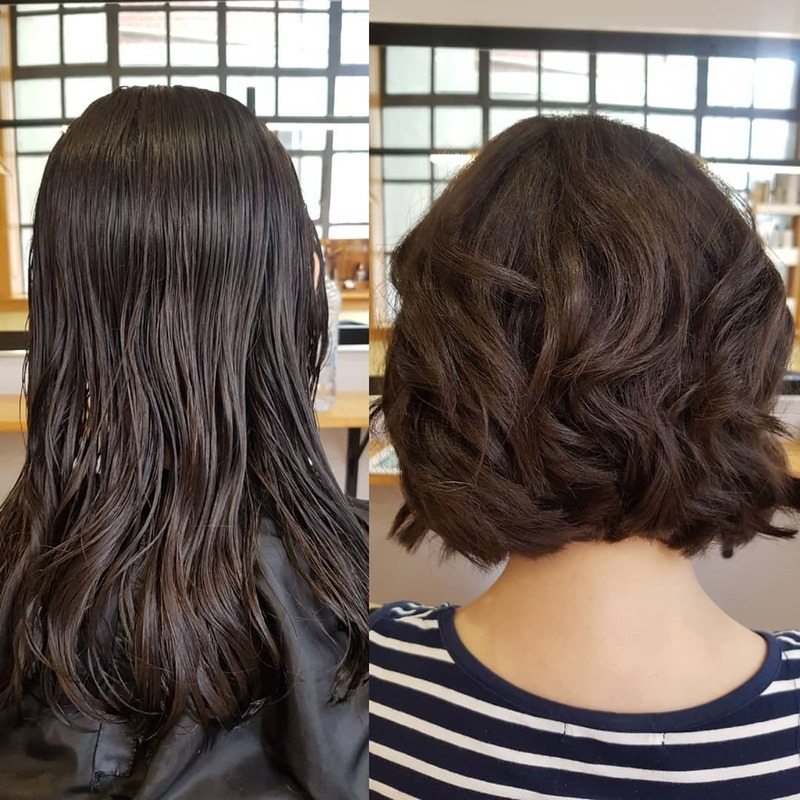 Just because your hair is short doesn’t mean you can’t have curls all over. 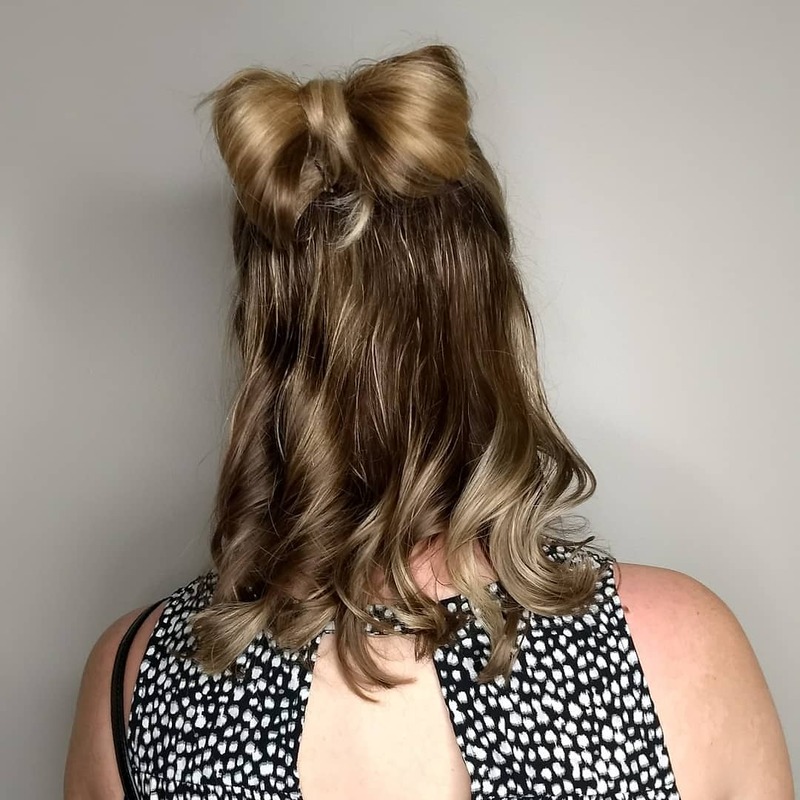 Curl your hair, give yourself some volume, and add some pinned accessories. 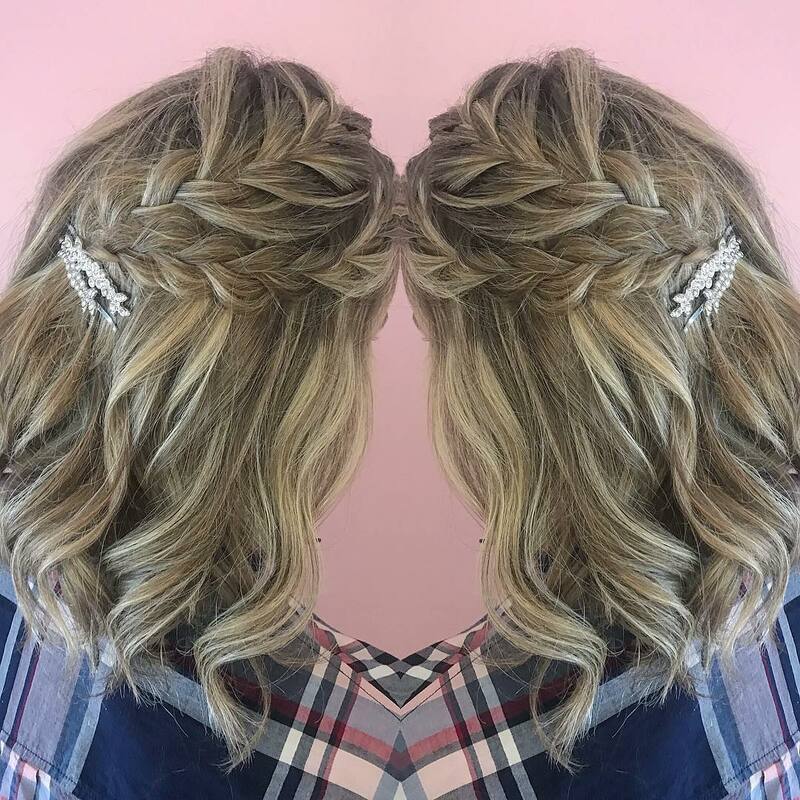 Crown braid your hair and let a few pieces fall for a lovely prom style. 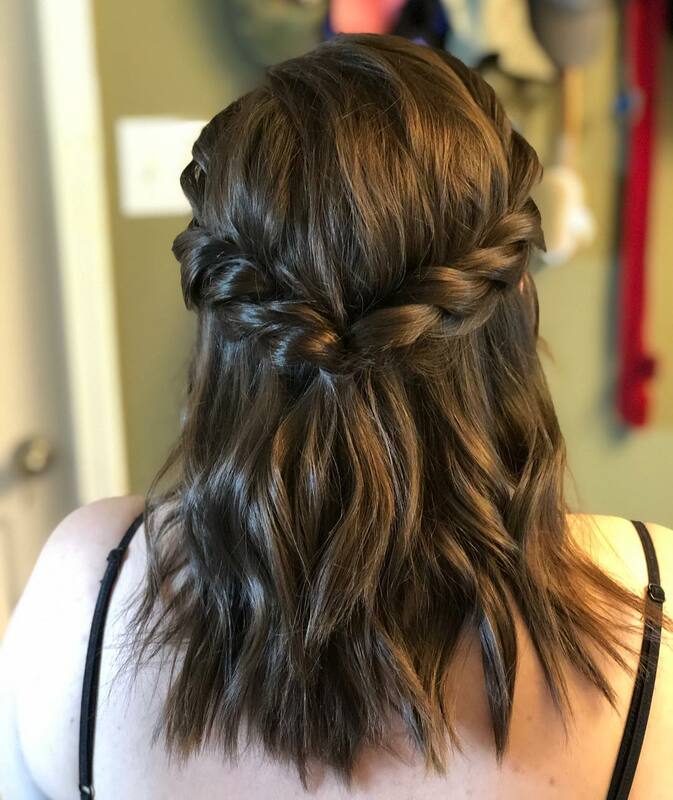 If Boho is your style then this Dutch braid is perfect for your prom hair. If you don’t want a huge hassle with your hair, do a nice side braid and pin it will a flower. 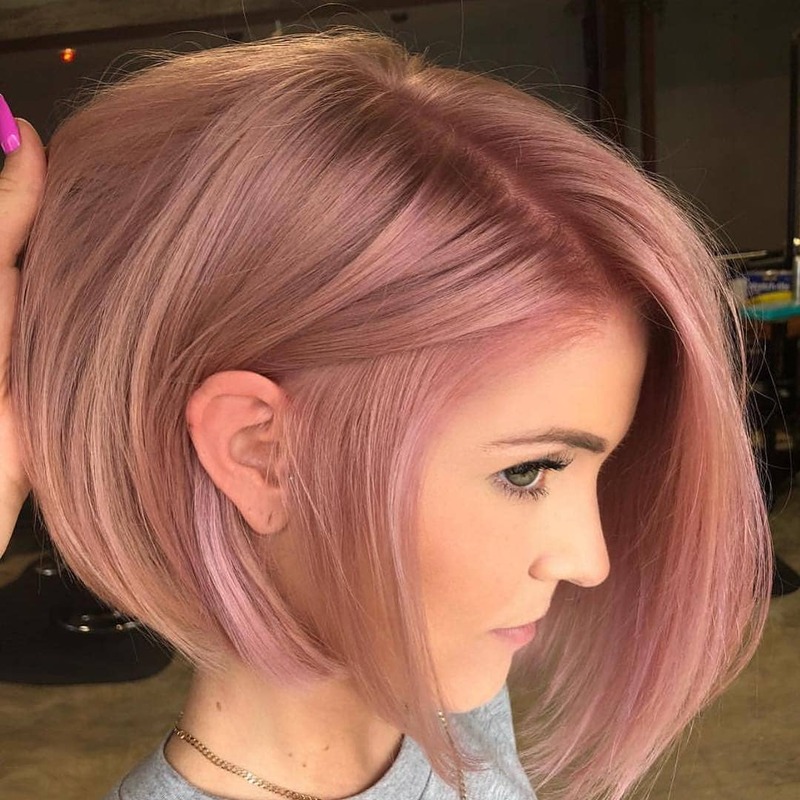 With short hair, you can create beautiful updos even with the smallest amount of hair. 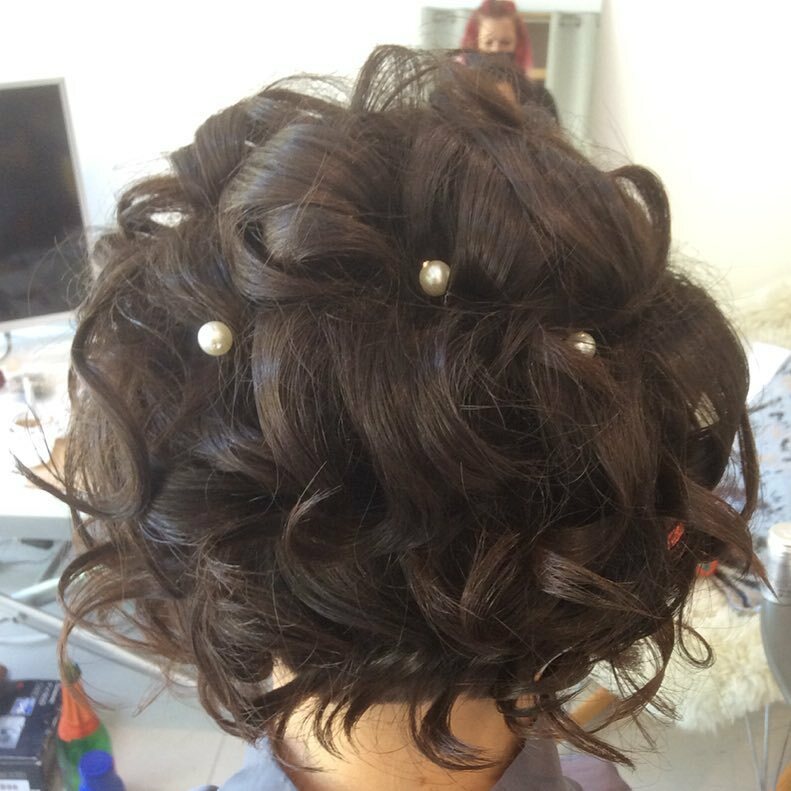 This low, elegant style is beautiful for prom and the added pearls are a great finishing touch. This half up, half down, the combo is great for prom and will keep your hair out of your face. 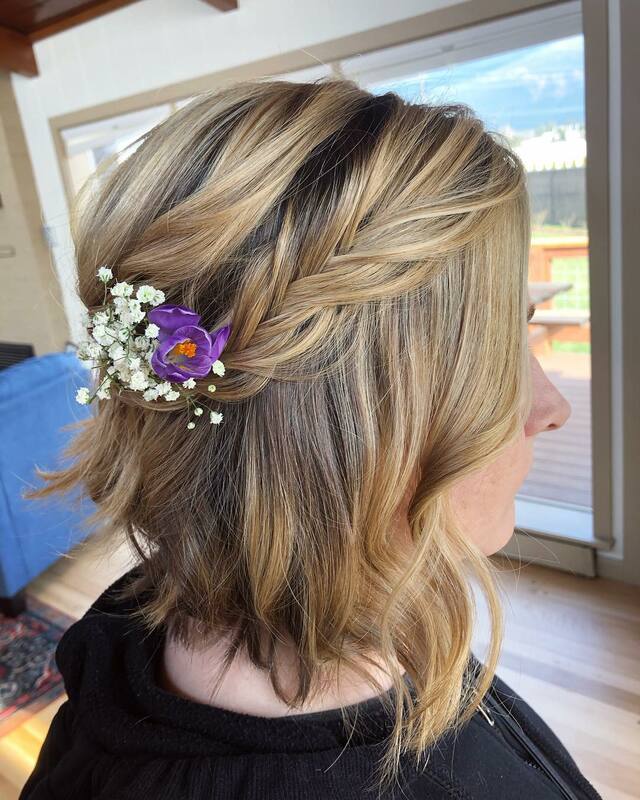 This Dutch flower braid is extreme for prom and will have people dying over your style. 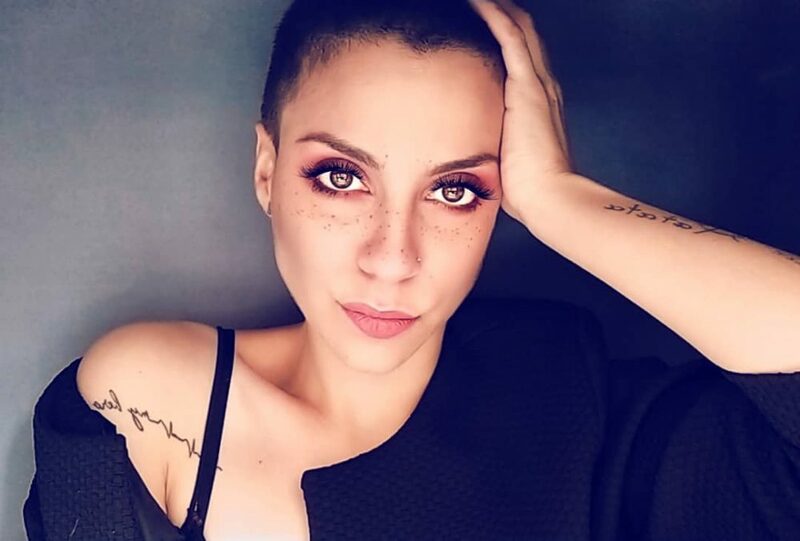 Go a little wild with your look. 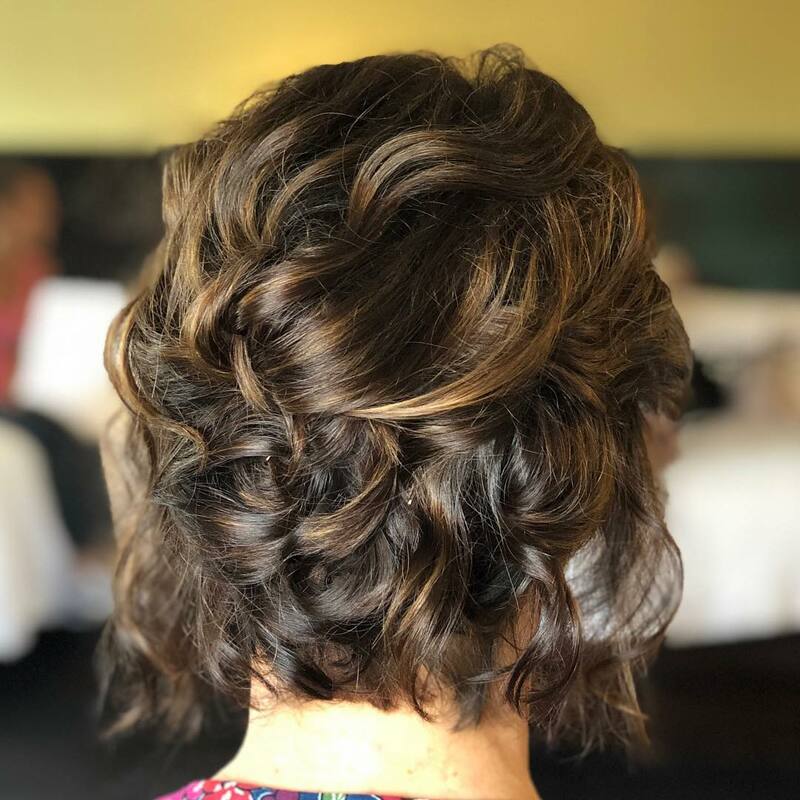 This combination of a braid, mohawk, and curls will turn heads instantly at prom. 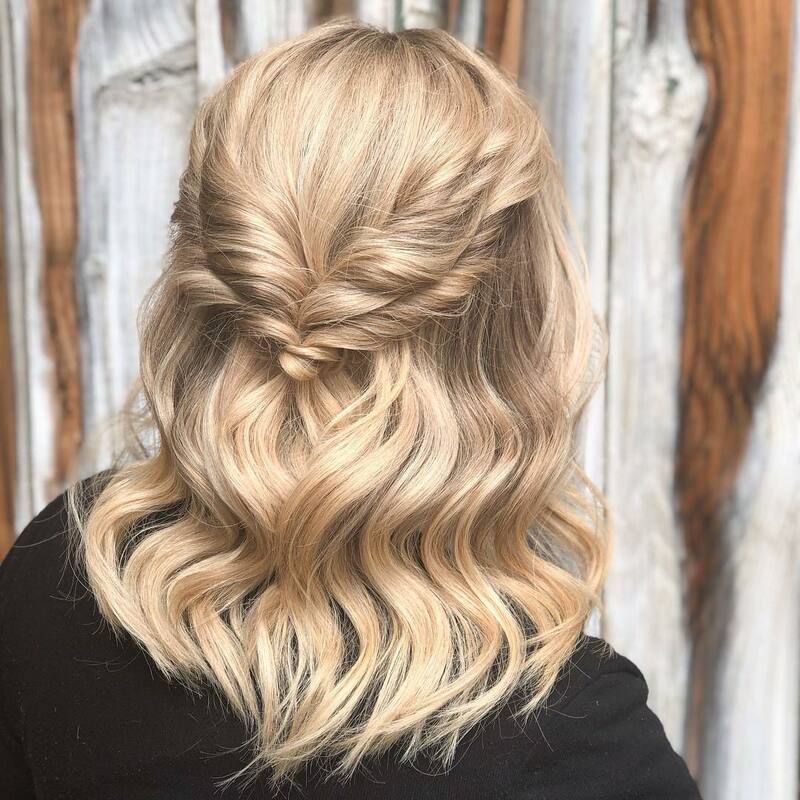 Curl your hair and pin some curls under to give yourself a little volume and a gorgeous look. 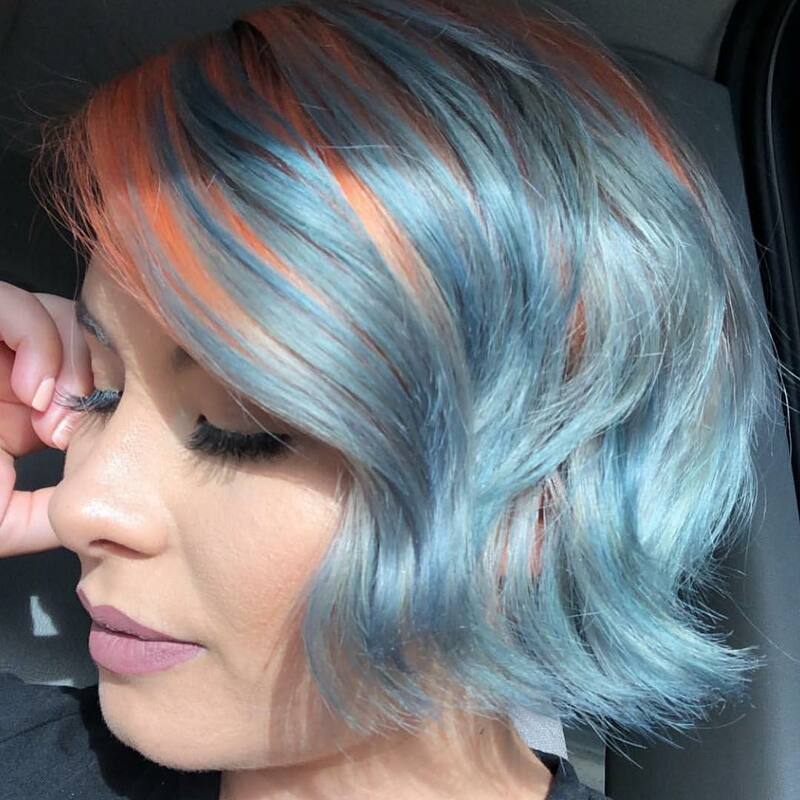 Just because your hair is short doesn’t mean you can’t pack on the volume. Give yourself a little lift, some curls, and a few beautiful accessories. 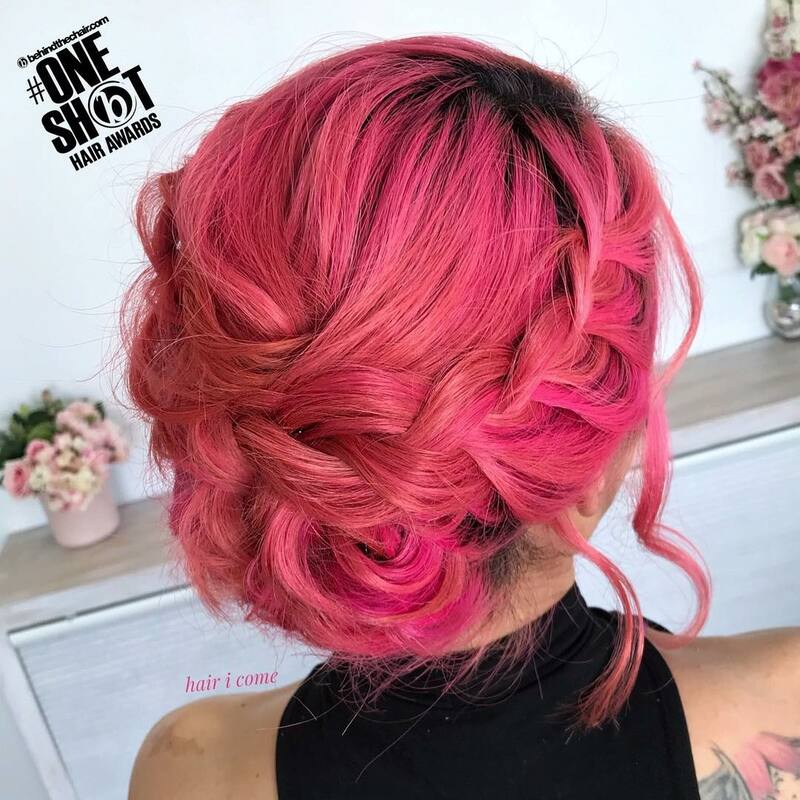 This curled updo is great for prom and the added accessories will only accent your entire prom look. 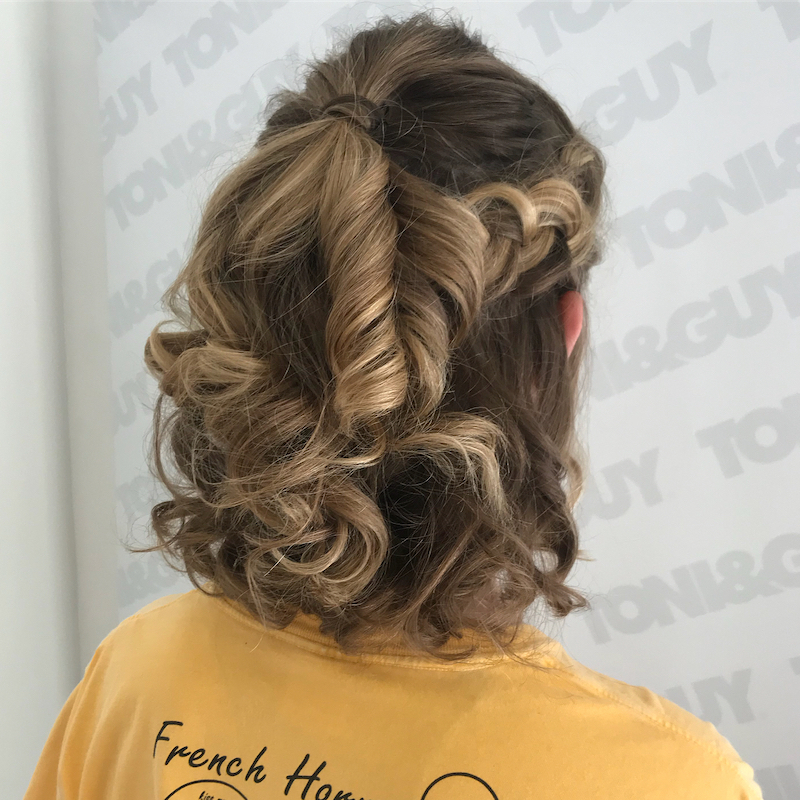 Top your prom look off with a cute bow and some beautiful curls. 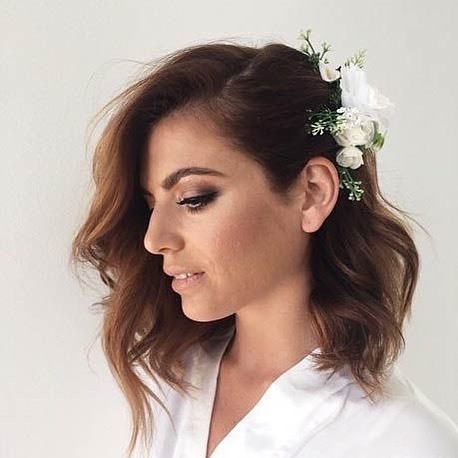 Leave your hair down and tuck one side behind your ear and secure it with a flowered accessory. 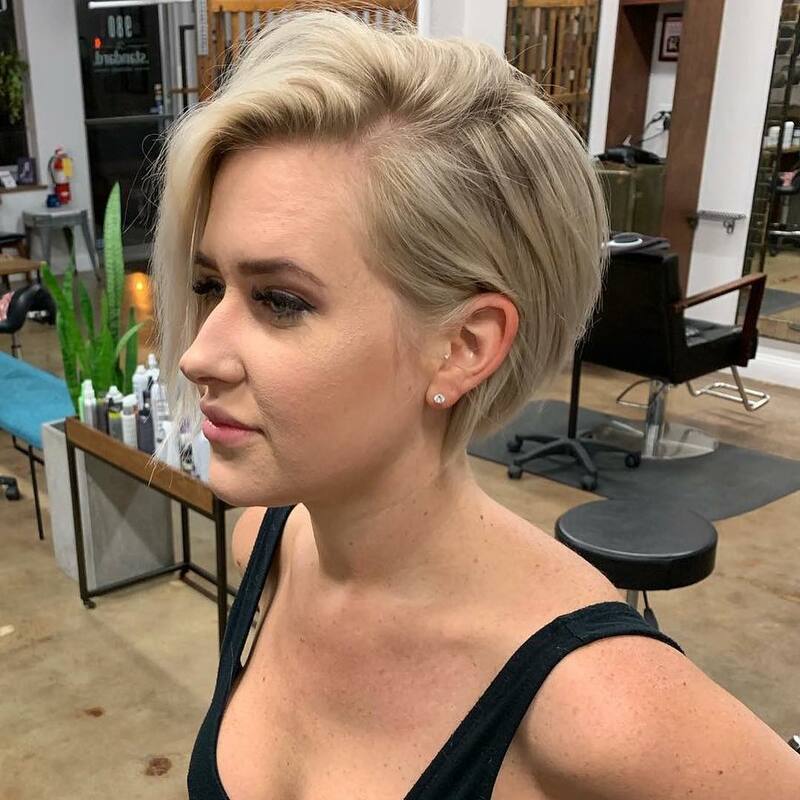 Add little curls to your pixie for a beautifully styled look. 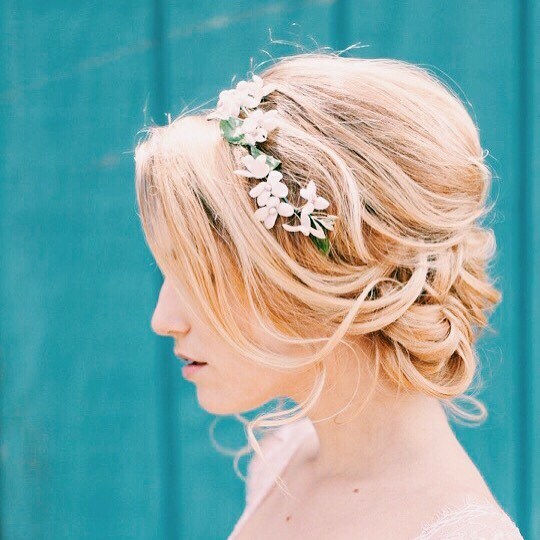 Go for a low bun with delicate flower detail for a beautiful prom look. 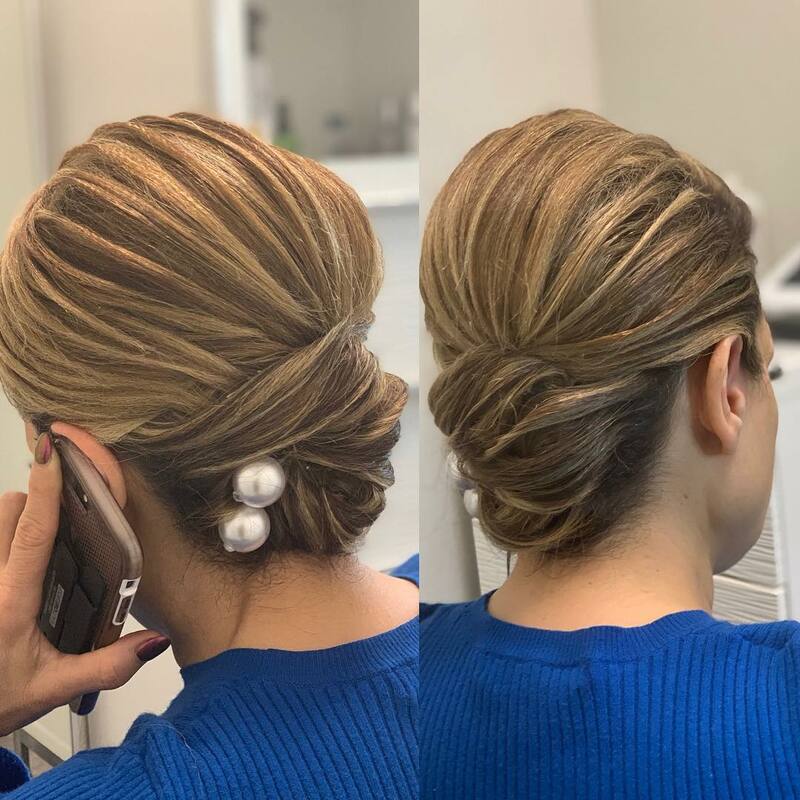 Hopefully one of these hairstyles match your prom look perfectly and we can help ease the stress that getting ready for prom always brings. Have a great and fun prom!